Farmers Guardian and JCB charity Loadall Agri PRO live auction launches TODAY! Two leading farming charities are set to receive a huge cash boost as Farmers Guardian and JCB join forces to host a live auction bid. 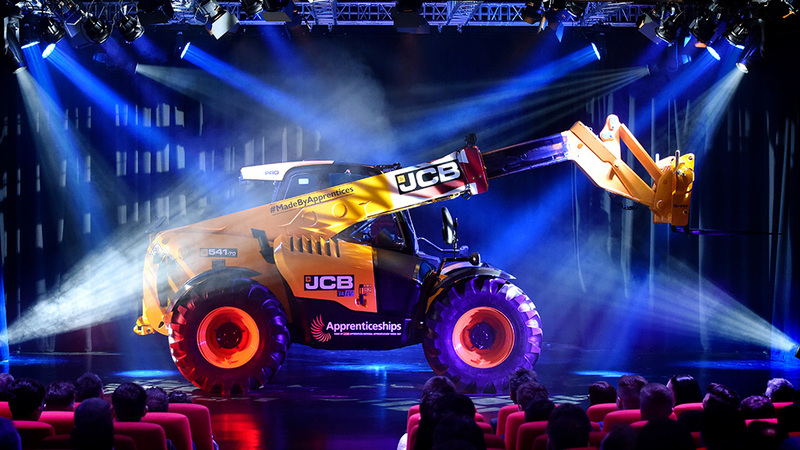 The bidding platform has opened for a unique JCB Loadall Agri PRO telescopic handler, built entirely by 68 JCB apprentices as part of National Apprenticeship Week 2017. The one-of-a-kind machine was unveiled in March to highlight the individuals working in the company’s apprenticeship programme and generate an interest in attracting new talent for the future. CLICK HERE FOR THE LIVE AUCTION! The beneficiaries will be the Louise Hartley Scholarship Fund, which supports young people in their farming careers and the Royal Agricultural Benevolent Institution (R.A.B.I) to support farmers and families suffering from mental health illness. The auction will open on this website at 10:00 am on Friday December 1 and will close at 12:00 pm on Friday December 15. The six-month project saw the apprentices work across departments to manufacture the axles, gearbox, engine, hydraulics and cab, also choosing the colour scheme. Built at the company’s Staffordshire headquarters, the Loadall Agri Pro is JCB’s premium telescopic handler. It is also the industry’s first telescopic handler which combines characteristics of powershift and hydrostatic drives. Danusia Osiowy, head of features at Farmers Guardian, has been involved with the scholarship since it launched in December 2016. She says: "We are so excited to announce the live auction that will begin on December 1 to raise money for two very special charities. 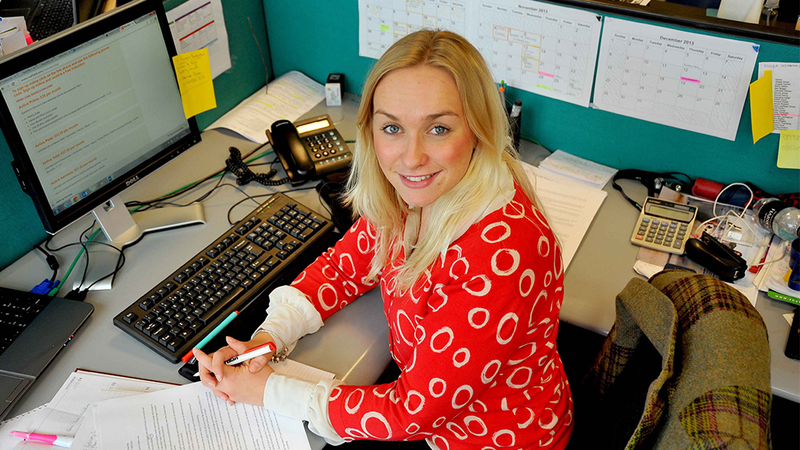 "Louise was hugely respected and loved throughout the farming industry and we really hope farmers, landowners, contractors and a host of other professionals will support this amazing and unique opportunity to make a difference to helping young people achieve their farming dreams. "Mental health illness has become much more prominent thanks to the bravery of individuals speaking out and a host of awareness campaigns. It can be a dark time for many and their families and the money raised will be specifically spent helping farmers suffering on their road to recovery." The Louise Hartley Scholarship Fund 2018 in conjunction with Farmers Guardian and Norbrook Genetics will return in the New Year for applications. The 2018 initiative will be supported by JCB and the subsequent funds raised by the bespoke Agri Pro Loadall charity launch taking place on Friday December 1 and closing for bids on Friday December 15. More information on the 2018 Scholarship will be announced in Farmers Guardian and on FGInsight.com in the New Year. In January and February this year, 64 per cent of calls taken by RABI were from working farmers. Of this, 17 per cent of callers had some form of mental health problem, including anxiety, depression and post-traumatic stress disorder. Some of the proceeds will be donated to RABI's mental health support division.